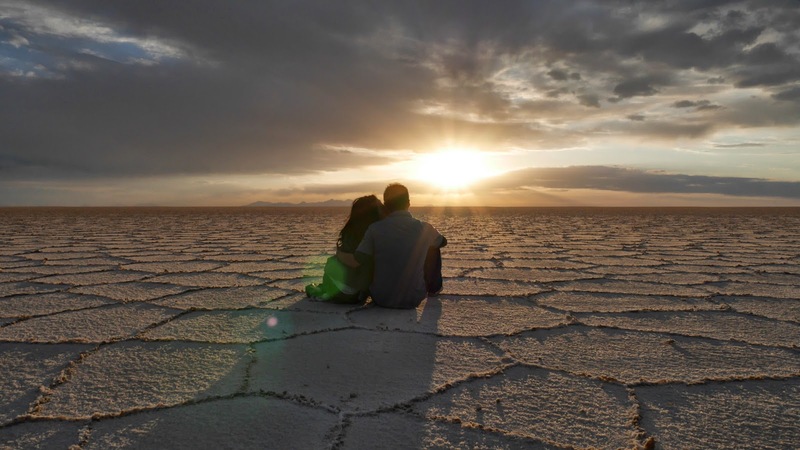 To play at the Salar de Uyuni, Bolivia.. the largest salt flats in the world..
Do not be deceived.. it took a lot of endurance, patience, and pain to get those pictures almost right.. if not right.. from both the photographers and subjects! :) But it was so much fun!! We did a 3 day 4WD tour which included lagoons, deserts, volcanoes and hot springs. The salt flats area was actually just a part of the first day. And that's it. Can you guess how many times I had to run back and forth to get these shots? We could not choose the people who would be in our 4WD vehicle for 3 days.. unless we booked a private tour, which was more expensive.. So all we could do was to hope that they were nice, and fun, and awesome, and amazing..
Now I understand why naughty kids in my country used to be punished by making them kneel on salt.. it looks inviting but it's actually hard, sharp, and painful! Even with my jeans on! We all had to wear our sunglasses because in the pictures, it is not obvious.. but the salt flats was really bright and glaring..
And our tour guide from Red Planet Expeditions, Luis.. who also served as our photographer! Always not ready to leave.. Always the last one to leave..
Our guide handled two vehicles.. and this is all of us! As I have mentioned, the salt flats area was only done on the first day of the 3 day tour. But I wanted more.. I wanted to see it one last time! Since we had 3 hours to spare before our bus ride back to La Paz, Bolivia.. I insisted to go back! We quickly walked around town to scout for a tour operator who could drive us back to the salt flats and found Atacama Mistica..
David only spoke Spanish, but as long as he could drive.. Unleashing all my rusty Spanish vocabulary.. I asked him if he knew how to take pictures.. He proudly answered that he was muy bien! very good! He was figuring out the camera's automatic focus, and we were leaning on air for sooo long! By the way, some friends were asking me if this was the mirror of the world.. Finally.. the sun is setting.. So beautiful.. I really loved this moment.. 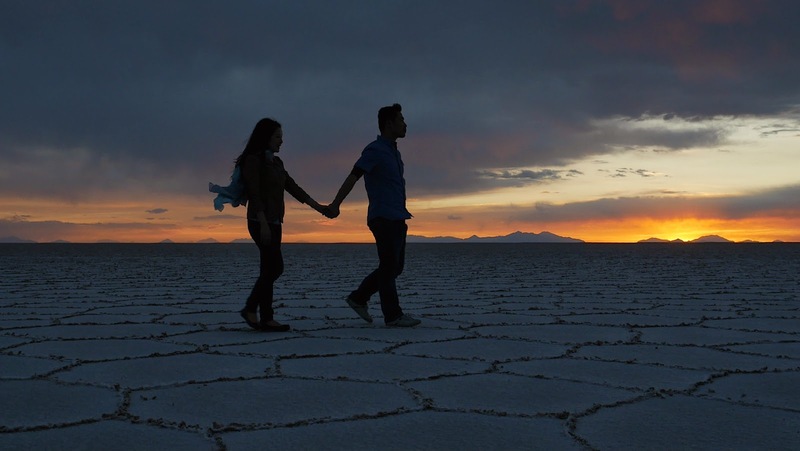 It was just us.. and salt.. (and David)..
Who asked us to make a Corazon.. a Heart..
A sunset date at the Bolivian Salt Flats.. Once in a lifetime..
We almost missed our 10-hour bus ride back to La Paz..